Our beautiful, AKC registered puppies come from champion bloodlines and are born and raised in our living room. They are dewormed, vaccinated, vet checked and very well socialized before going home. Ready to go the beginning of February! Please call 276-266-6674 for more information and pictures! 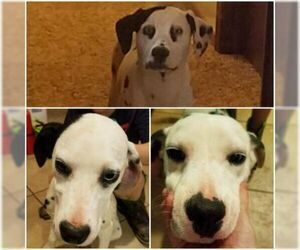 Items Included: Puppies will be BAER tested (they'll have their hearing tested), will be wormed at 2,4,6 and 8 weeks of age and will be vaccinated and thoroughly examined by the veterinarian. They come with a puppy packet and puppy kit including collar and leash, food, toys, a blanket, bowl and more. 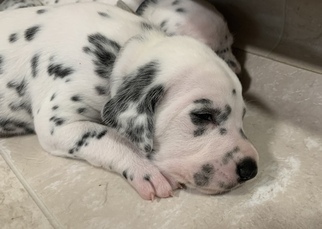 You'll be updated daily or weekly (whichever is your preference) on your puppy's progress as he or she grows up and prepares for their new life with you! You'll receive as many pictures of your growing baby as you'd like. 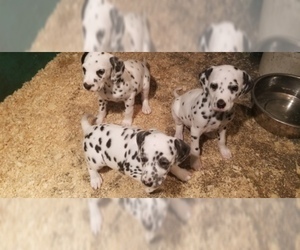 As of 12/28/18 the puppies are 3 weeks old and we currently have 3 females available! 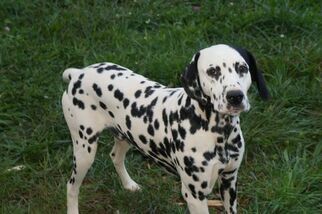 Sire is AKC/CKC registered, has imported lines from Bulgaria, is 4 years old, healthy and gorgeous. He has a great personality and produces wonderful puppies. 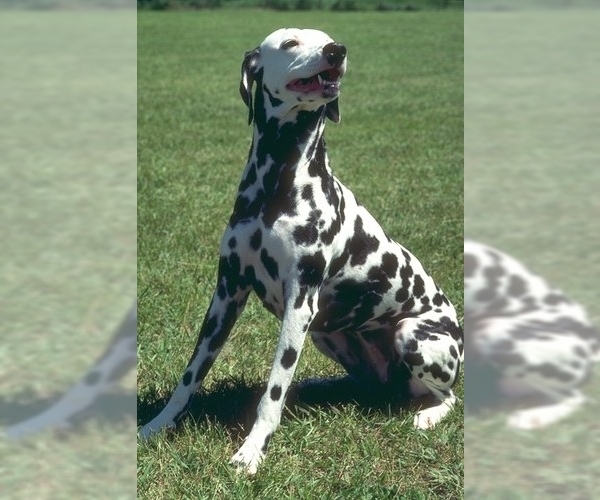 Dam is AKC registered with quite a few champions in her pedigree. She is incredibly sweet and loving. She's passed her BAER test, had her thyroid and heart checked and she's as healthy as she is beautiful and sweet. She's 3 years old and had her 2nd litter of pups on 12/7/18. 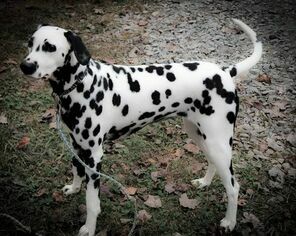 Posted Breed: Dalmatian (short coat).